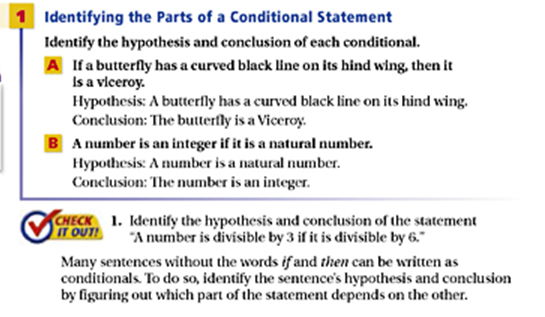 hypothesis- this is the part p of a conditional statement following the word if. 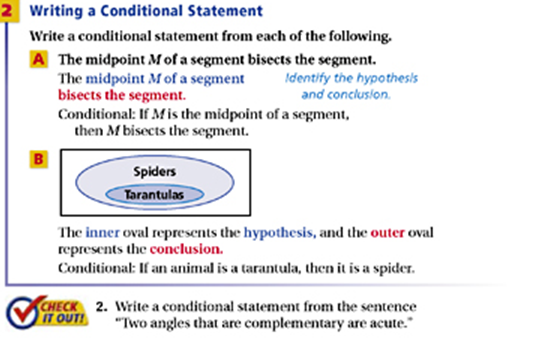 conclusion- this is the part q of a conditional statement following the word then. converse- the statement formed by exchanging the hypothesis and conclusion. inverse- the statement formed by negating the hypothesis and the conclusion. 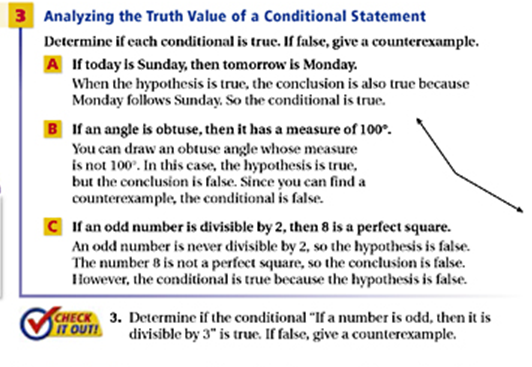 contra-positive- the statement formed by both exchanging and negating the hypothesis and conclusion.